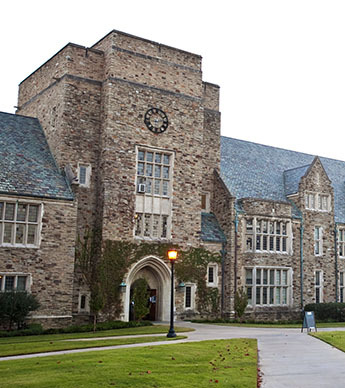 Rhodes College’s oldest building was renamed Southwestern Hall on April 12, 2019. Southwestern Hall honors a name with a rich tradition and history at the college. The Rhodes College Board of Trustees formed a discernment committee tasked with examining the building’s original name, Palmer Hall, named in honor of Benjamin Palmer. The committee spent the 2018-2019 school year studying the issue and soliciting feedback. After reviewing the historical record and reviewing all feedback, the committee recommended the name be changed. The board accepted the resolution and voted to retire the name of Palmer Hall in April 2019.